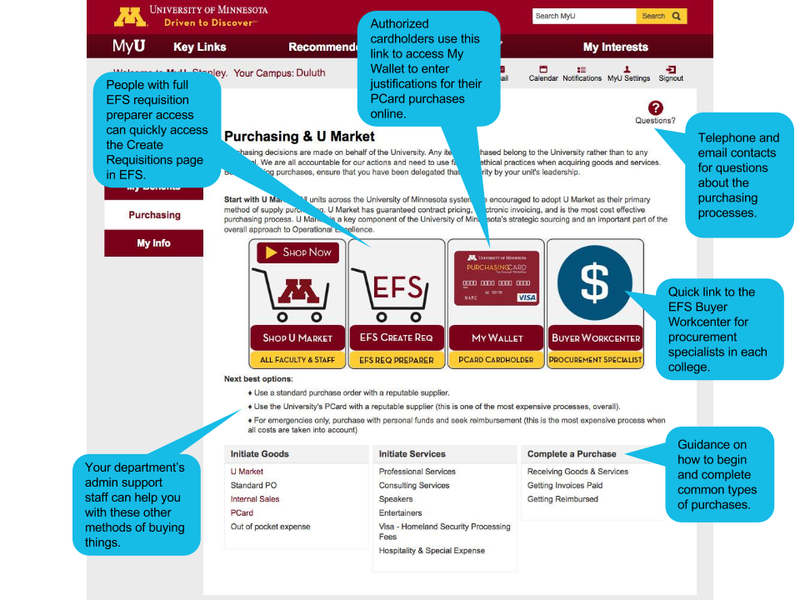 After the new MyU launches, faculty and staff will see a Purchasing tab. Not everyone has purchasing authority, but now everyone can see the information on how to appropriately buy things, in case they need it. This tab provides easy access to procedures, tools, and contract (best overall) pricing, making the purchasing process more transparent for everyone. Click the image to view more detail.